Unlike other e-learning providers, we focus specifically on the hospitality industry. We work with restaurant and hotel chains ranging in size from one unit to thousands of units. DiscoverLink, Inc. is the leader in e-learning for the restaurant industry, offering a unique combination of content and technology solutions supported by extensive development and implementation expertise. Founded in 2002, DiscoverLink has delivered e-learning solutions for more than 200 restaurant brands, leveraging the 25+ years of e-learning experience of its founders. DiscoverLink partners with its clients to develop solutions that combine its library of more than 90 restaurant-specific training courses, with custom-developed courses and a learning management system optimized for the restaurant industry. DiscoverLink uses a metrics-based methodology to measure the success of e-learning programs it deploys for its clients. Headquartered in West Chicago, Illinois, DiscoverLink maintains staff in eight states throughout the United States. 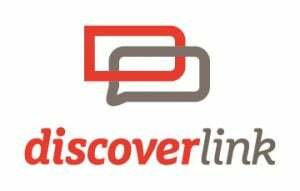 Read reviews and discover other eLearning Industry community members's experience with DiscoverLink.